Me Too: two small words making big changes. In 2006, activist Tarana Burke started the Me Too movement to support and empower girls and women of color who had been victims of sexual abuse. Me Too gained national attention in 2017 when actress Alyssa Milano encouraged women who had experienced sexual assault and harassment to tweet #metoo. Within hours, thousands of people – including high-profile celebrities – responded on Twitter. By empowering victims to share their stories, the Me Too movement is changing the discourse around sexual abuse. The Me Too movement helps to illuminate the breadth of sexual misconduct. Contrary to enduring myths about sexual predators, the vast majority of perpetrators are not hiding out in dark alleyways. Rather, they walk about in plain sight: in our homes, schools, places of worship, in factories and in boardrooms, and on our television and movie screens. 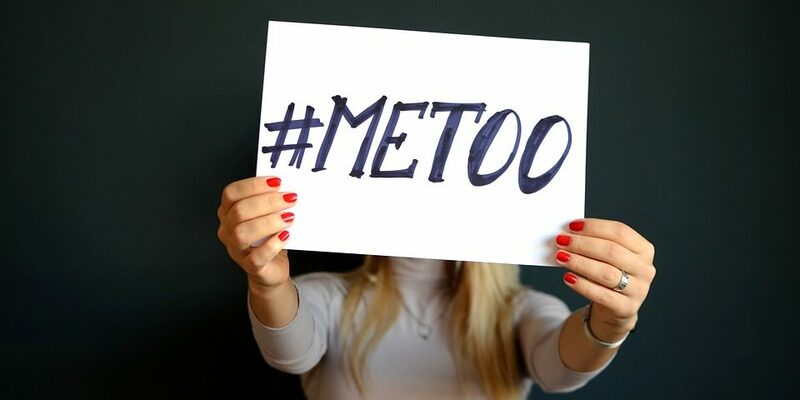 In fact, the rise of the Me Too movement has brought about the downfall of the privileged and powerful, exposing the sexual offenses of those individuals while demanding accountability. We know that perpetrators of sexual violence occupy every demographic. Why, then, are we so often shocked to learn that celebrities, high-powered executives and politicians are offenders? Perhaps our reactions are informed by the dynamics of power. In the Harvard Gazette, Christina Pazzanese and Colleen Walsh explore how the psychological, social and structural aspects of power protect perpetrators and perpetuate sexual abuse. They write, “Power leads people to be more optimistic about outcomes and to believe that they can exert greater control over outcomes than they actually can.” Like the offenders themselves, we may believe that their privilege and influence render them beyond reproach and consequence. This belief is not unfounded. The prominent film producer, Harvey Weinstein for example, used his substantial influence in Hollywood to target, sexually assault and silence women for decades. When we hear the millions of voices that comprise the Me Too movement, we may wonder: where were these voices two years ago? Why didn’t these victims speak up earlier? Victims of sexual violence remain silent for many reasons. Survivors often think they won’t be believed, feel shame and self-blame, fear retaliation for their reports, and risk losing their employment and opportunities for advancement. 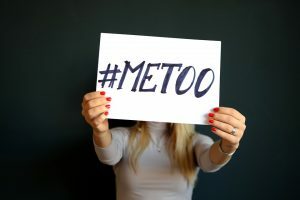 Individuals who are victimized by high-powered individuals are often given the implicit or explicit message of “That’s just the way things work around here.” By raising their voices together, the women and men of the Me Too movement expose this toxic culture of business-as-usual and demand a reorganization of power. While credited for activating enormous change, the Me Too movement has also been critiqued for not fully representing the diversity of sexual abuse victims. Critics would like the movement to include more voices from women of color, people from a range of socioeconomic backgrounds and from the LGBTQ population. When victims from marginalized populations share their stories, they shed light on the intersections of power and identity. Just imagine the roar of Me Too if more sexual trafficking survivors, for example, felt empowered to share their experiences. If you are interested in learning how the civil justice system can support your voice and effect change, please contact one of our experience attorneys for a free consultation.